Cathy Moore-Coleman is an executive administrator, author, entrepreneur, and ministry leader. She has experienced low self-esteem first hand. Living for many years with subconscious pain, she finally realized in a nutshell her dilemma was a direct result of low self-esteem. Upon her deliverance and healing in mind, body and soul, she knew she had to do something to help other girls elevate their self-esteem. Healthy self-esteem has the ability to help girls make better choices for their life and future. Cathy went from being an uneducated teenage single parent of two, to home owner, entrepreneur, graduate with three earned degrees, and author. 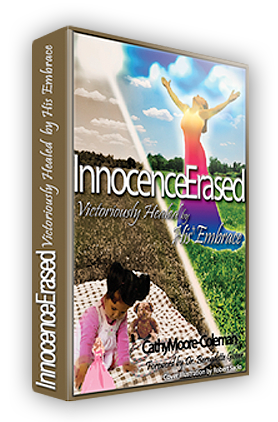 Her first book,Innocence Erased, Victoriously Healed by His Embrace, was the catalyst to developing and starting her non-profit, Fulfilling Destiny and Purpose for Girls, Inc. (FDPG). You are encouraged to order her book at fdpg.org/book. Cathy is determined to give girls tools to understand that valuing themselves can save them from a life time of poor choices. FDPG believes healthy self-esteem will help to facilitate a bright future. Cathy holds a Master of Science in Organizational Leadership and has over 20 years of administrative skills.